Why would I need self storage in Farmingdale, NY? There are a variety of reasons why you might need self-storage in Farmingdale, NY. How much is a storage unit in Farmingdale, NY? The cheapest storage unit in Farmingdale, NY is $66.00 per month. What size storage units do you have available in Farmingdale, NY? In Farmingdale, NY we have sizes that range from 5'x5' to 10'x30' to suit your storage needs. How much is it for a 5'x5' storage unit in Farmingdale, NY? The cheapest 5'x5' storage unit in Farmingdale, NY is $73.00 per month. Farmingdale is a small village in the town of Oyster Bay, New York. It's located on the western end of Long Island and is well-known for its Arts and Crafts architecture, charming village green and numerous shops and cafes. Farmingdale got its start in 1695, when an English immigrant purchased 15 square miles of land from the Massapequa Native American tribe. The owner's family lived on the land for over a decade before other settlers came to the area. Over time, the family divided its property into parcels that they sold to new residents and businesses. During this time, this community called itself Hardscrabble, a name that probably described rural life fairly accurately. That started to change in 1841, when a real estate speculator opened a small general store. Over the next few years, he divided the land he bought and added roads, making it easier for new residents to reach their homes. He renamed the community Farmingdale, which almost certainly sounded more attractive to potential buyers. One of the first factories to open in Farmingdale was a brickworks company that supplied building materials to regional businesses, including the six pickle factories that called Farmingdale home. While Farmingdale is a fairly small community, it's a pleasant place for families to settle. The Long Island Rail Road makes it relatively easy for residents to travel to New York City for work and recreation. The beach, which offers fun family activities during the hot summer months, is also within just a short drive. Farmingdale's Main Street contains many well-preserved Arts and Crafts style buildings, which now house a variety of locally-owned businesses. Throughout the village you'll find plenty of family restaurants and unique shops. Local festivities and events make it easy to get to know your neighbors and experience arts, culture and unique celebrations. Farmingdale schools are part of the Farmingdale Union Free School District. The district provides access to universal preschool as well as elementary, middle and high schools. Despite its small size, the village is also home to a college campus, the State University of New York at Farmingdale. Utilities: Farmingdale's primary utility providers include the Long Island Power Authority and the South Farmingdale Water District. Garbage and Recycling: You can expect regularly scheduled collection of your trash and recyclables. Transportation: The Long Island Rail Road offers easy access to Manhattan, while the Long Island Expressway and Seaford Oyster Bay Expressway connect the island to the mainland. Farmingdale has fairly high housing costs that are well above the national average. When compared with other towns in the area, though, it's clear that Farmingdale's home prices are in line with those in most New York City suburbs. In fact, pices are actually less expensive than in some neighboring communities. Our lowest priced units in Farmingdale, NY average $69.50 per month. 103 people have reserved units in Farmingdale, NY in the past 30 days. 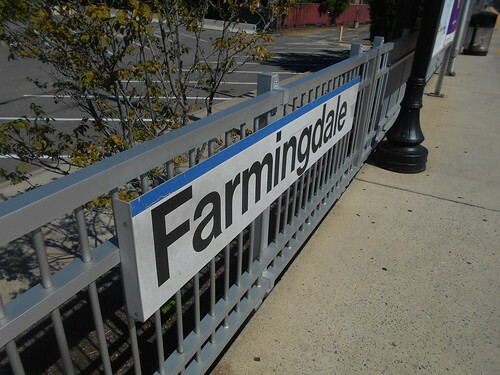 There are 2 locations within Farmingdale, NY's city limits. There is 1 location in Farmingdale, NY that offers AC and Heating features.